Music. Architecture. Dancing. Cars. Heat. Rum. Lobster. Mountains. Forests. Beaches. 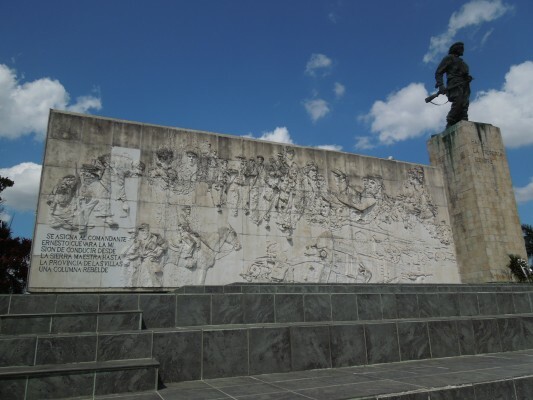 These are just some of the things I experienced in Cuba. 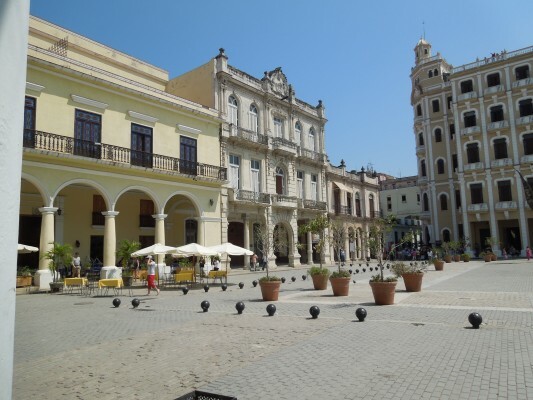 In Trinidad, a beautifully preserved Spanish colonial town with cobbled streets, stunning architecture, and cotton-candy-colored buildings, we visit the Plaza Mayor, the main square. For lunch, we eat sublime lobster tails grilled in butter and garlic while the breeze moves softly through the huge open windows of the paladare. Afterwards, we listen to wonderful Cuban music and drink seven-year-old rum. Next, it’s off to Topes de Collantes, a national park in the Sierra del Escambray mountains, where we hike in the dense forest and see the luscious local flora. Near the end of the hike, we come upon a pig roasting over an open fire. 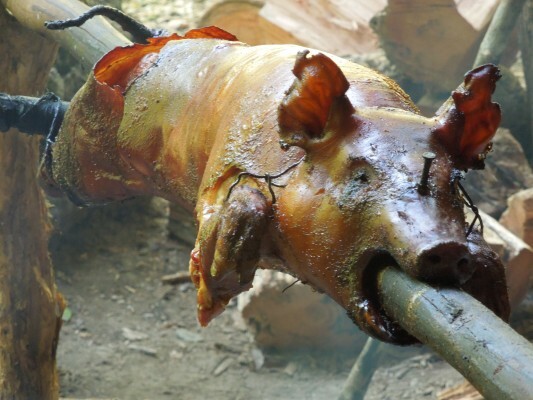 Imagine my surprise when the pig is served for lunch a few minutes later! and watch a one-woman play written and performed by one of our group at an LGBT Center in the city of Santa Clara. We spend two nights at a resort on the Atlantic that is more like Miami Beach than Cuba (not so great), but has a white sand beach and clear, warm, turquoise water (pretty great). 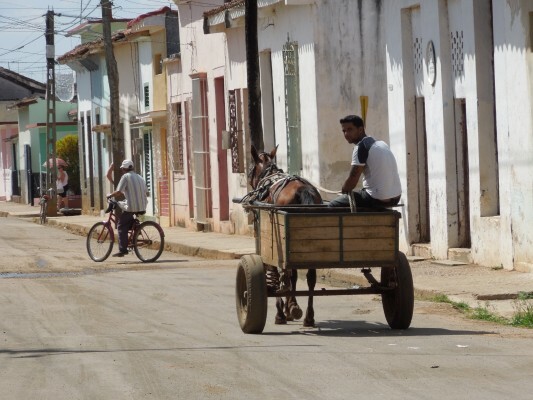 In contrast, we visit Remedios, a fifteenth century colonial town that is authentic Cuba. 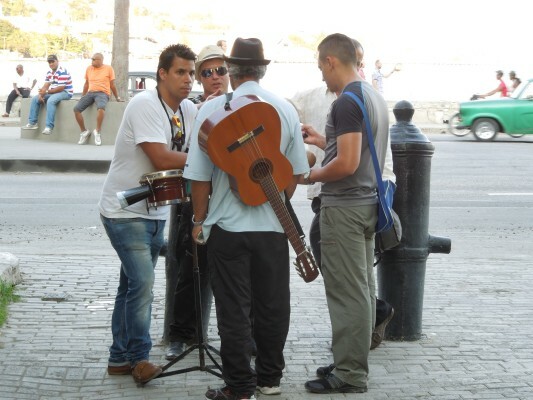 And then, finally, we arrive in Havana and it seems like all that went before was just a warm-up. What a breathtaking city it is! Colonial buildings, some in decay, others beautifully renovated. Likewise the cars, so many Chevys, Fords, Oldsmobiles, and Buicks from the fifties and early sixties, some in dire need of body work, others in cherry condition, such fun to ride in either way. something that sets this country apart from all others I have visited. I look forward to returning. Hi Adele. Which group did you travel with, and why did you pick that group? 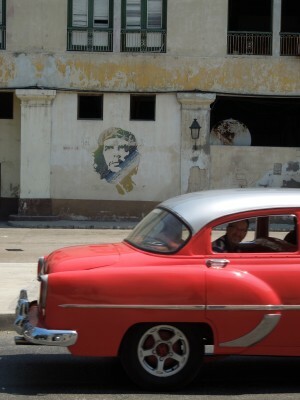 Please feel free to contact Gino Muzzatti, gmuzzatti@santarosa.edu, about Cuba. He is the local trip leader who escorted us to Cuba and who returned from another trip there just last month. He is a great source of information and a wonderful person. Best of luck! Great photos! WE are going to Havana and Remedios for a short trip at the end of February, 2017.